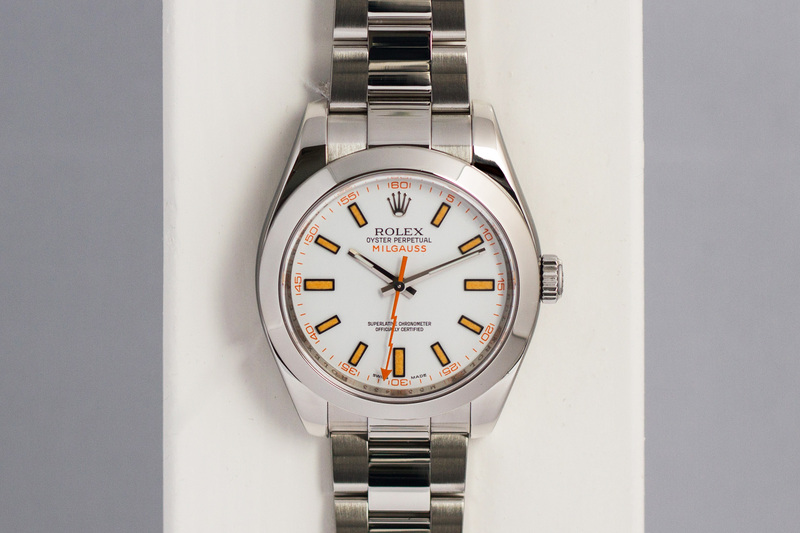 The Rolex Milgauss was a watch initially designed for scientists who were exposed to high magnetic fields. 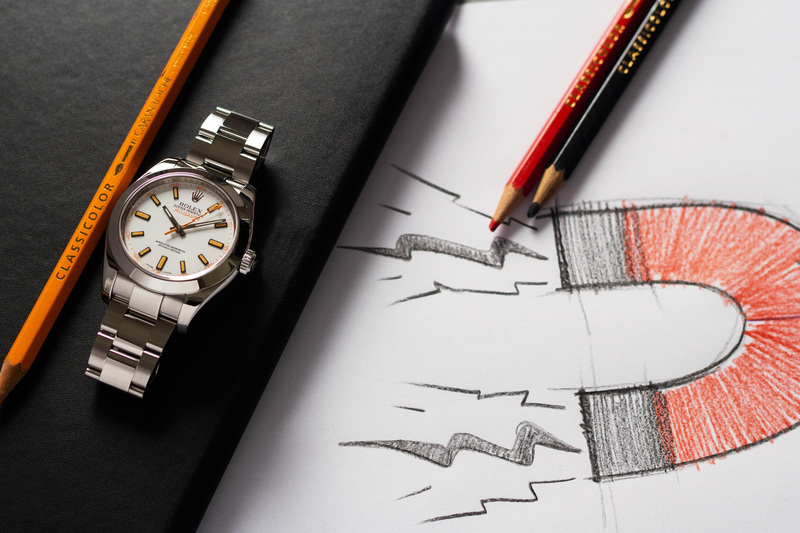 Why design a watch for scientists? Well, back in the days Rolex was all about making ‘tool-watches’ for specific occupational groups (pilots and their GMT’s, divers and their Submariner watches etc.) and the precision of an ordinary mechanical watch can be affected by a magnetic field of 50 to 100 gauss. As many scientists are exposed to much higher magnetic fields during the course of their work. 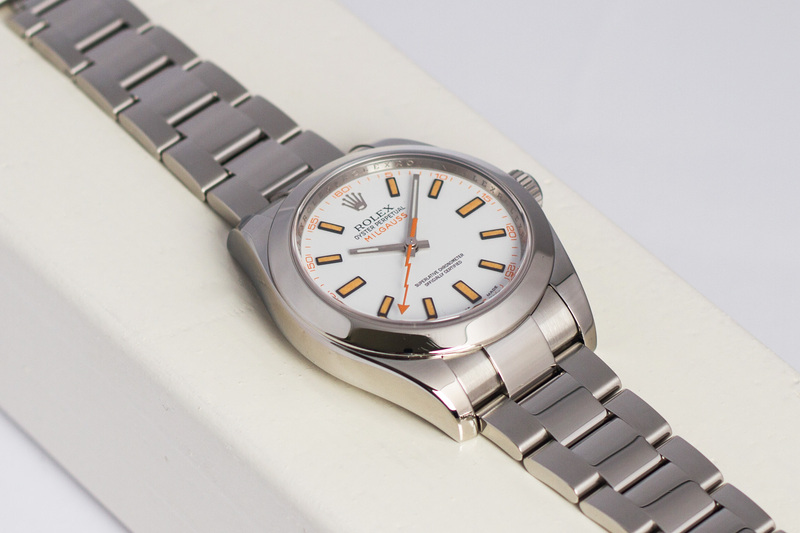 Rolex’s solution was the Rolex Milgauss with its high tolerance towards magnetism. 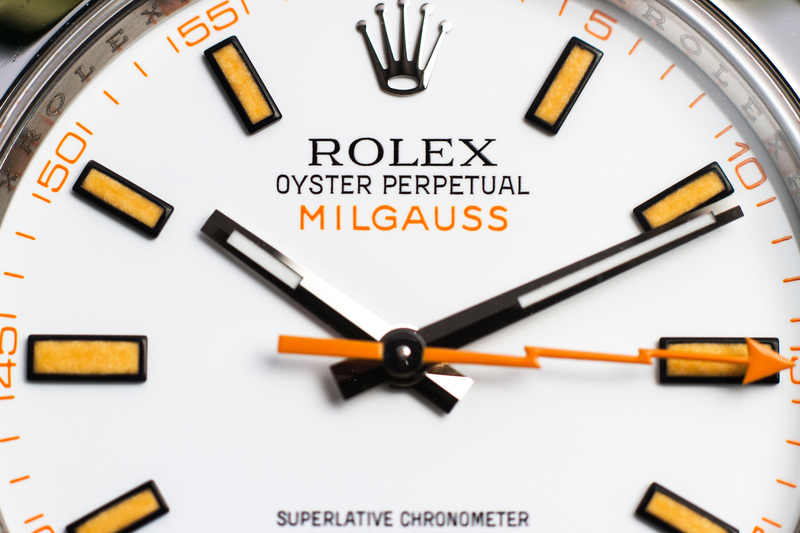 The (vintage) Milgauss was first manufactured and introduced in 1956. 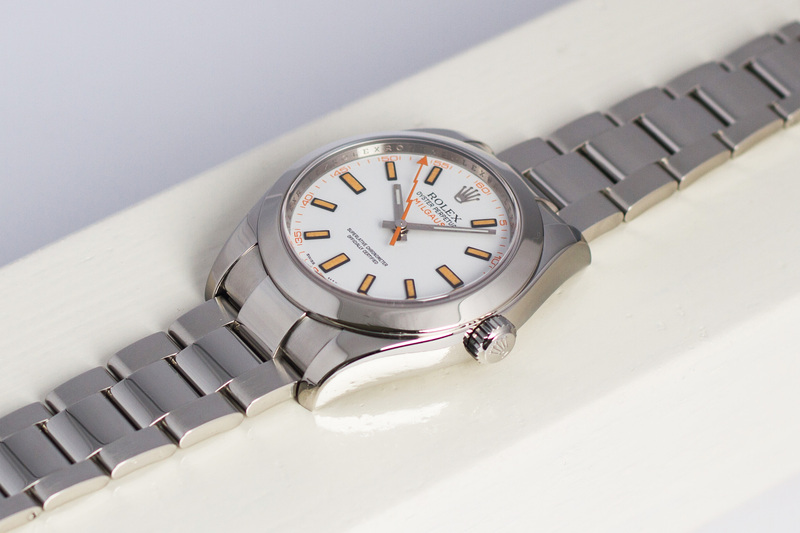 The modern take on the Milgauss watch like the one we are offering here, is again a true tool-watch and can withstand magnetic fields up to a 1000 gauss! Hence the name of the watch – Mile being French for thousand. The 116400 Milgauss is equipped with calibre 3131, a self-winding mechanical movement entirely developed and manufactured by Rolex. It incorporates state-of-the-art technologies patented by the brand that ensure exceptional resistance to magnetic fields. The first line of defense against these magnetic fields is a shield inside the Oyster Case. 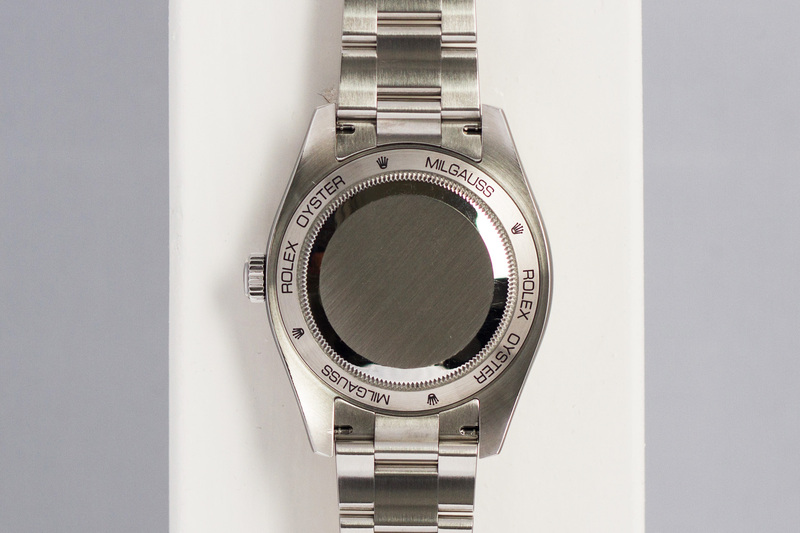 This shield is made of a ferromagnetic alloy and surrounds and protects the COSC certified movement. This Milgauss is completely overhauled according to the Rolex service specs, the watch is accompanied by all it’s original paperwork and the former (and first) owner even kept all the factory stickers neatly organized on an A4 piece of paper! It doesn’t get much better than this.